Fortnite: Battle Royale's map is filled with a bunch of cool points of interest that have become favorites to many players for a variety of reasons, but the community is always brainstorming ideas on how to improve the game. One of the points of interest that doesn't quite live up to its name is Loot Lake. The large body of water in the center of the map features three boats that spawn chests on them, and a house in the middle with menial loot. It is a perilous place to visit due to the long sight lines and being slowed down by moving through water, making it a high risk and low reward situation. 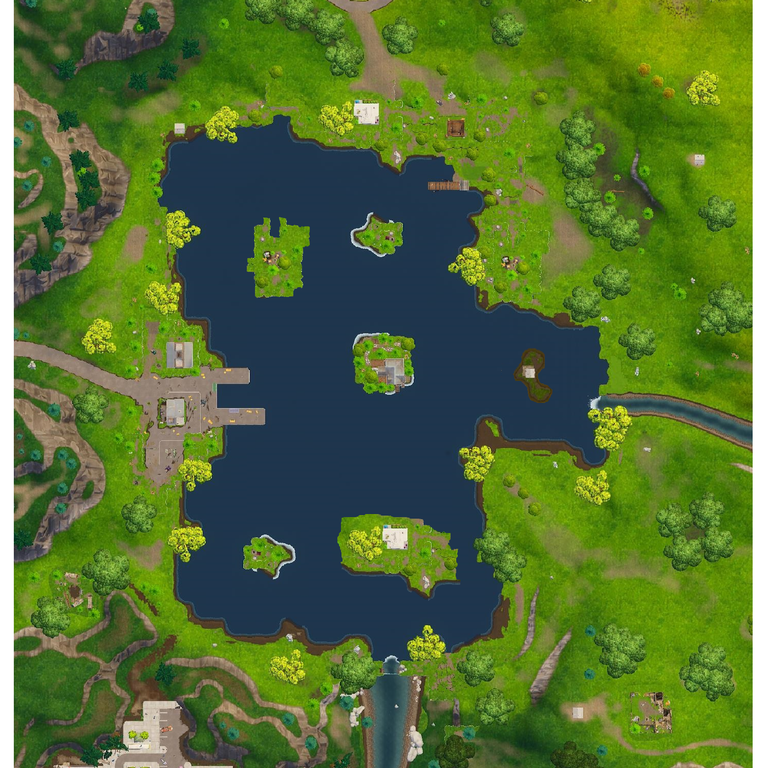 Two Fortnite community members on Reddit have thought up a couple different ways to help improve Loot Lake and make it more attractive to visit instead of a place that draws sighs whenever the final circle ends up there. First up is this concept for a tunnel underneath Loot Lake by a user named whicketywack. 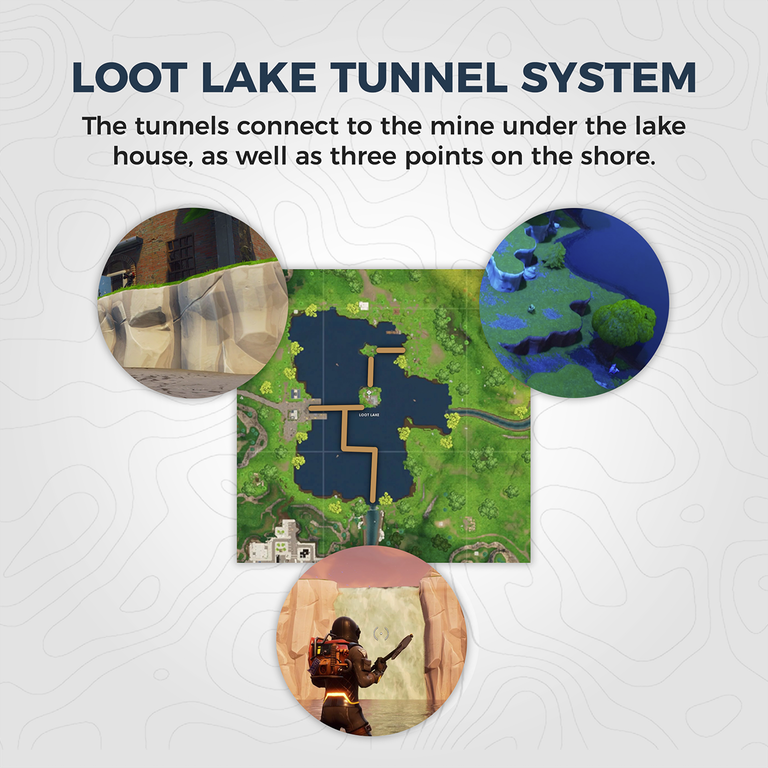 It would definitely shake things up and invite more players to go underneath the lake for some loot, but it could present problems when a final circle is placed there. It would need to have multiple entrances from multiple directions, but it could help make Loot Lake great again. The second concept, by a user named JamesJonez89, simply adds more islands to the lake. This would certainly encourage players to build around the lake more and attempt to loot multiple islands instead of having just the one in the middle. Epic Games has changed the map around numerous times since the game came out in early access last year, so it's very possibly to see improvements added to Loot Lake eventually. Ideas like these from a passionate community will only help further the possibility of improvements being made.